Zinger Bingo is going to make this November extra special. The bingo site has already started bringing excitements to its players on a daily basis. 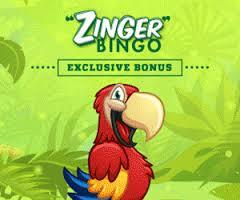 Each day, Zinger Bingo either rewards players with amazing prizes or hosts a special event. The first promotion that you can be a part of is called the FREE Ticket Celebration, which is going to take place from 17th to 19th November. In order to qualify for this event, you need to buy at least 5 tickets to one of three games, namely Sure Win, Sure Win 2, and Zodiac. This way, you will earn a chance to claim three free tickets for the same game. Who Can Take Advantage of These Promotions? If you are a Zinger Bingo user with an active account that has funds on it, you are eligible to get involved in these promotions. If you are a newbie user, who is looking to embark on a bingo journey, you will have to deposit some funds into your account, before taking advantage of these promotions. Of course, for new users, Zinger Bingo has prepared valuable welcome bonuses.